Canvas Holidays have spent 2015 celebrating 50 years of sending holidaymakers to hundreds of tents, lodges, and mobile homes across Europe. They’ve come a long way since the beginning, and this summer they sent Helen and Penny to two very different Canvas Holidays campsites to compare the Canvas experience. Armed with their 50 things to do this Summer challenge checklist, the team set about making sure their families had a fun-packed week away. 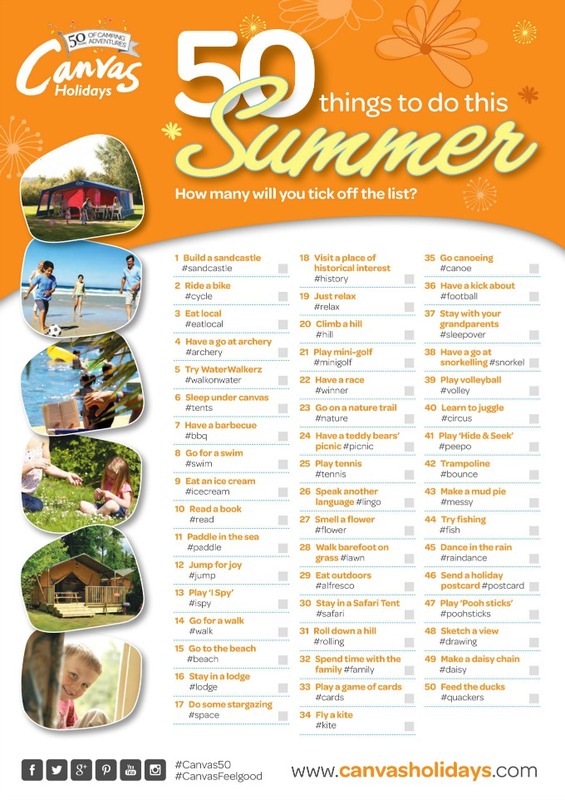 With 50 things to do this summer, how many could they manage? 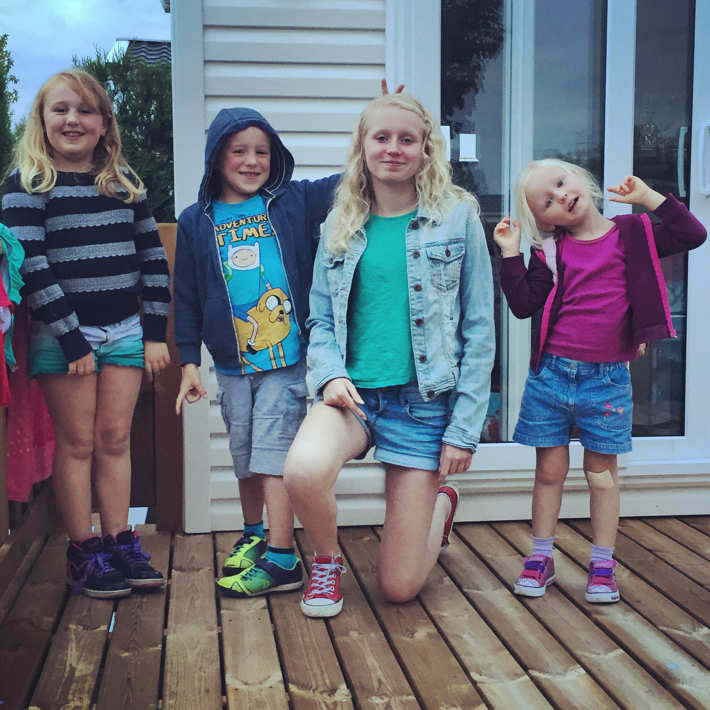 Helen took her family to Duinrell, in the Netherlands. Not somewhere you’d normally associate with lounging on a beach, but actually, Wassenaar beach is a long, deep stretch of perfect sand, with a gently shelving, well-guarded section for swimming – if you can bear the North Sea temperatures! 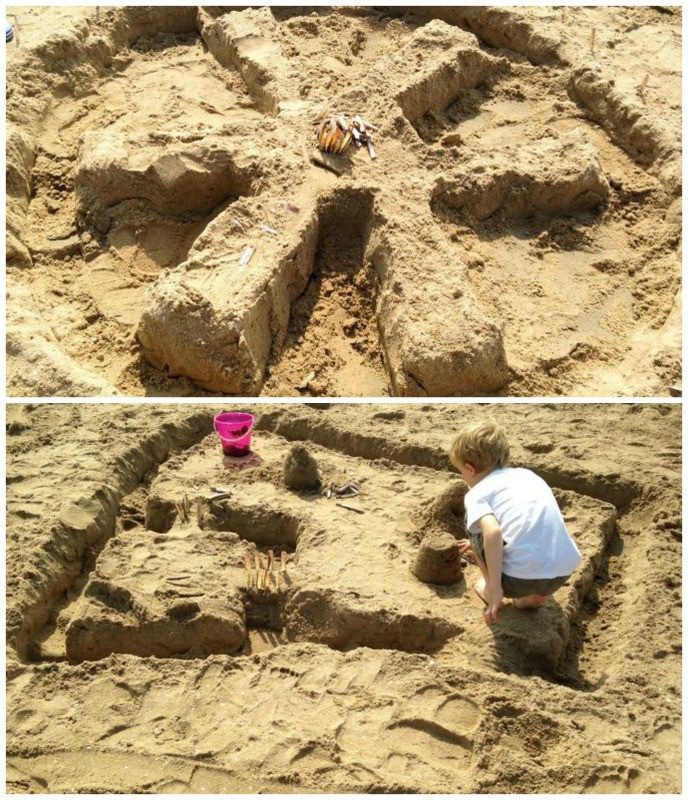 The kids enlisted the superior digging force of their dad to help with major sand construction work here, creating a personalised island, and a Hunger Games arena! 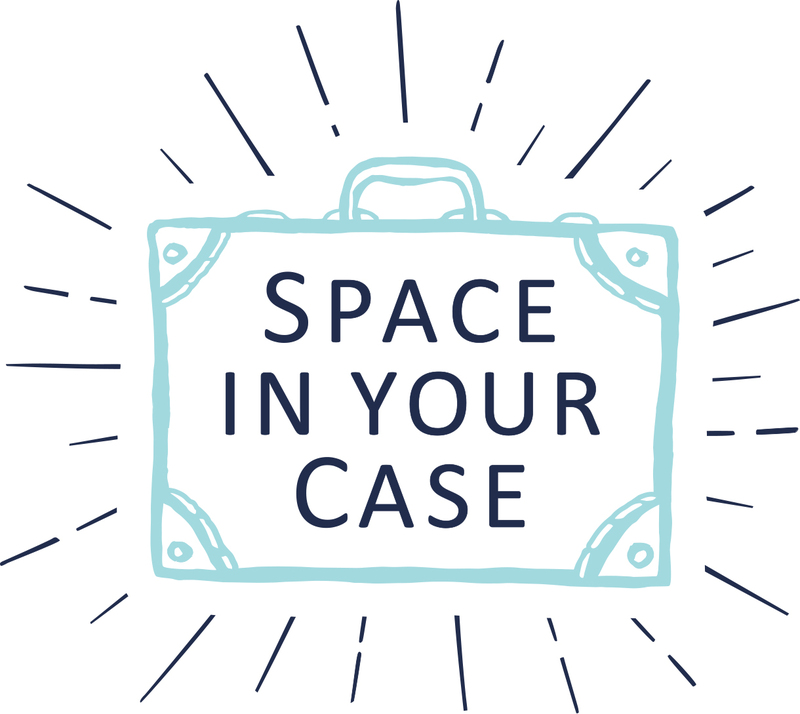 Well, if you will go on holiday with a tween… We loved this story of a fly-by sandwich theft over on Helen’s blog too. Penny’s family went to Camping La Croix de Vieux Pont, Berny Riviere, in Picardy in France. It’s a wonderfully relaxing site, with plenty to keep a 6 and an 8 year old entertained, as well as children much younger and older. It is also ideally situated for a spot of history; Pierrefonds, one of France’s most spectacular chateaus, had the whole family transfixed, especially the spooky exhibition in the catacombs, while Compiegne the clearing in the forest where the 1918 Armistice was signed, inspired some thougtful reflections on war. One of the unexpected highlights for Penny’s family was a trip to the local supermarche. The trolley was soon full of fruit, purple cauliflowers, cheese, wine and the best French sweets and biscuits, but absolutely no snails or strange sausages please. There was not a repeat of the Danish Supermarket saga. The on site bakery at Berny Riviere was a huge hit too, for warm croissants and the daily baguette. Meanwhile, Helen’s family made the most of the Dutch love of pancakes; Duinrell has a fabulous pancake house situated inside a charming undercover carousel, perfect for a rainy afternoon! They came home firm fans of Poffertjes too – tiny, fluffed-up pancakes served in a pile with butter and icing sugar. Delicious! 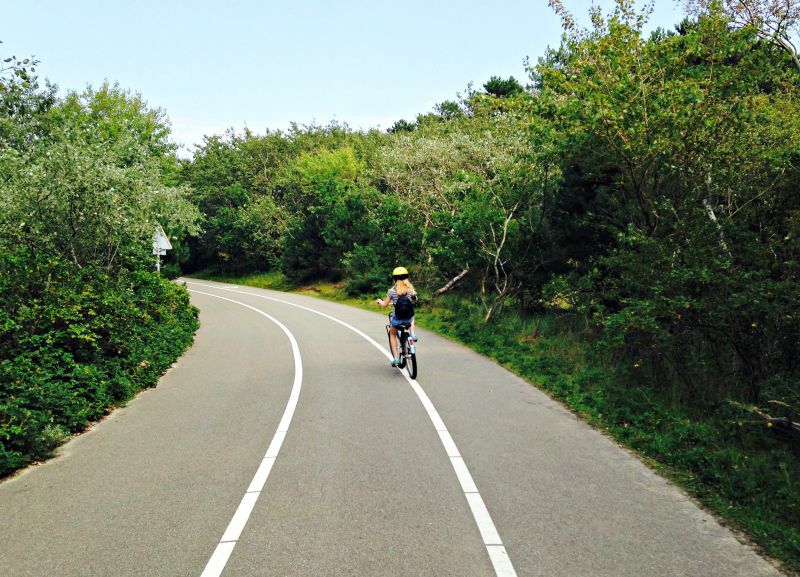 You won’t find anywhere better than Holland for riding a bike with young children. Everyone cycles, there are give way signs that give bikes priority, and what’s more, it’s flat! There was absolutely no whining at all from Helen’s 10 and 8 year olds as the family cycled the 20 minutes from their Canvas camp site to the beach. And the cycle hire process was quick and easy too, with well-maintained bikes, child-seats and tag-a-longs ready to go in moments. Bike hire cost 32 Euros for 4 bikes for the day. Canvas Kids Clubs are free, parents are welcome to stay or go which makes for a lovely atmosphere, and just from watching the staff set up the equipment each day there are some really innovative activities, like raft building. Penny’s kids didn’t get to try Walkerwalkerz on water, but as part of the Canvas 50th birthday party on site, tried trying to knock each other over in zorb suits – a highly effective and fun sibling rivalry management tool. See Penny’s video below. Penny’s family stayed in a Moda Plus, complete with corner sofa, deck and sun loungers, all perfect spots for reading, playing and chilling out. It isn’t difficult to relax on a Canvas Holiday. Most of the parks feel self-contained, and many are small enough to quickly be able to round up your kids if you’ve allowed them some freedom. At Duinrell children of all ages were roaming around on bikes and go-karts until late, and it all felt perfectly safe. It gives kids a sense of freedom they don’t normally have at home, and they very quickly make friends hanging out at the park or the disco. 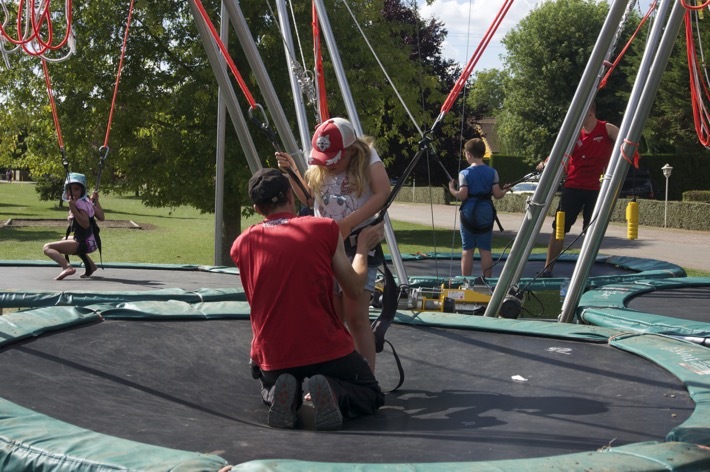 All the Canvas holiday parks have so many activities, it would be easy never to leave site. 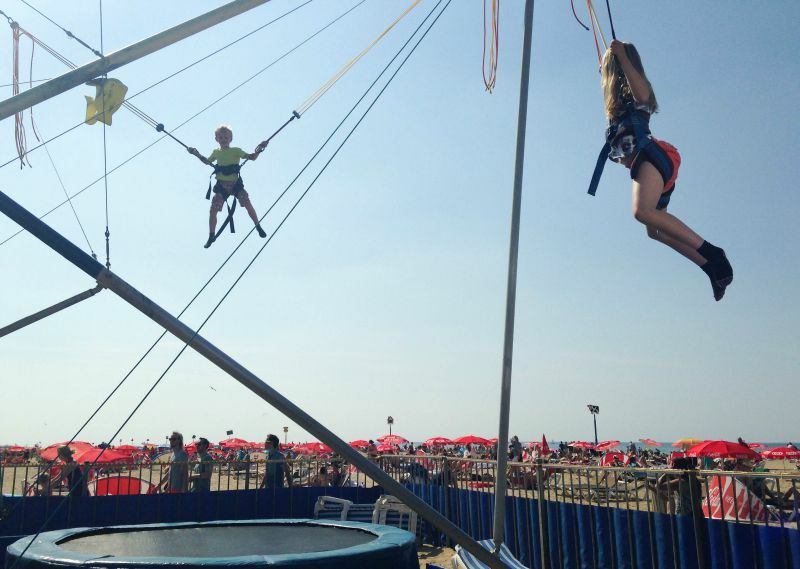 But the staff are always ready with recommendations for more, and Helen’s family loved the cycle ride to Scheveningen beach, where they finally realised their ambition of bouncing on the bungee trampolines. Meanwhile Penny’s daughter was preparing to bounce too, but at Berny Riviere. The great thing about Canvas Holidays is that there are so many sites across Europe, all with familiar offerings, but individual touches. 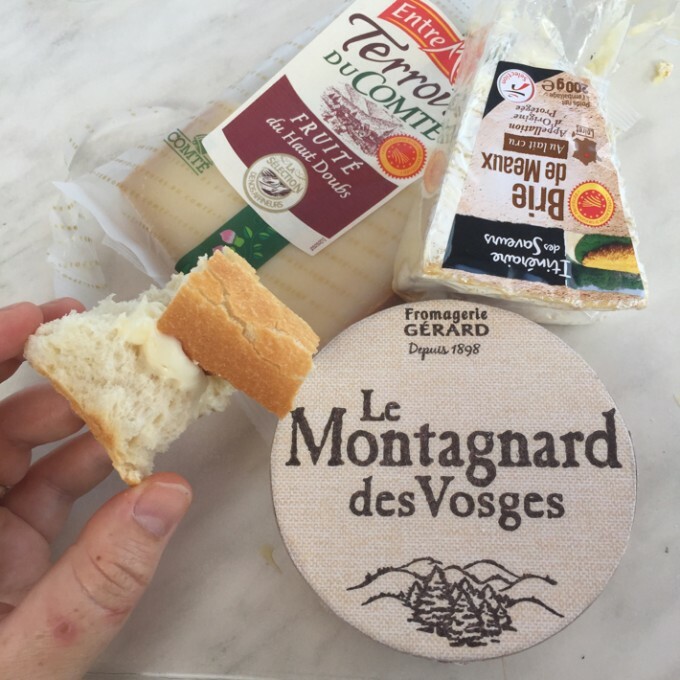 Wine that tastes like warm liquorice, cheese that calls to you from the fridge, the feeling of dewy grass around your flip flopped feet as you walk past the lake to the on site bakery, the little bit of baguette you nibble on the way back, eating still warm French pastries on the decking as the sun warms your back. French pastries bought in the village patisserie. Every meal outdoors. 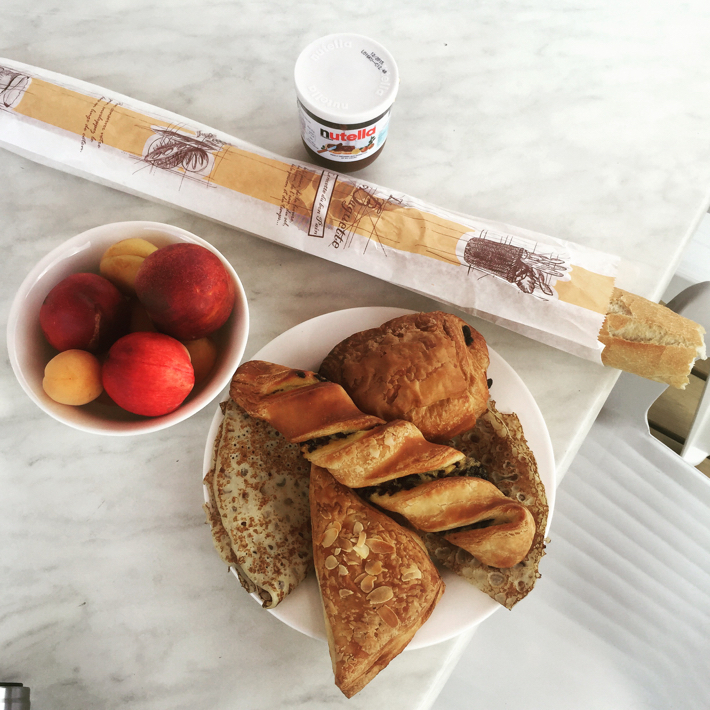 France was alfresco foodie heaven for Penny’s family. Madam Bevan would be very proud of Penny, she ordered in the bakery and at the bar in French. All the staff are pretty multi lingual though, so don’t worry if French isn’t a language you know, the staff are very used to conversing in English. And Helen’s family couldn’t resist a giggle at some of the words they picked up in the Netherlands – not easy to pronounce, but great fun trying! With accommodation ranging from safari tents to mobile homes and log lodges, Canvas Holidays are great places for getting larger family groups together. Penny was lucky to be visited by her cousin who lives in France, and her children. 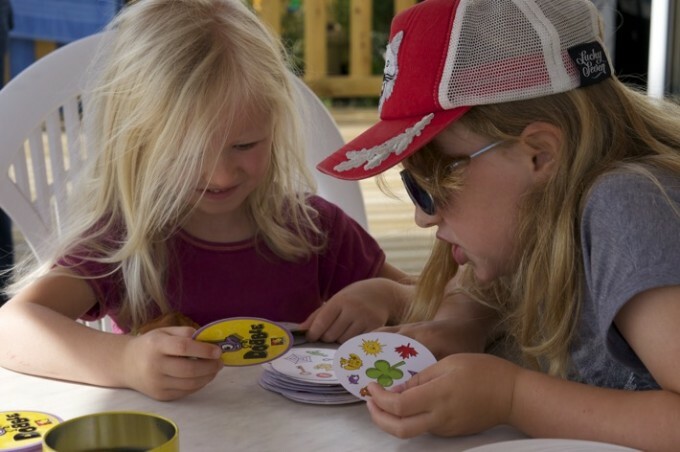 Canvas Holidays campsites are brilliant places to make new friends and have new adventures, whatever your age. Whether is is swimming, go karts, canoes, kayaks, bowling, laser quest, karoke – Berny Riviere had something for all ages, tots to teens. On the Moda Plus mobile home deck playing Dobble, Happy Families, Uno and cards soon became the order of the day. Everyone truly found the time to just unwind, relax and play together. Berny Riverie is perfectly placed to visit Paris, so that is where Penny’s children wrote their postcards to grandparents. 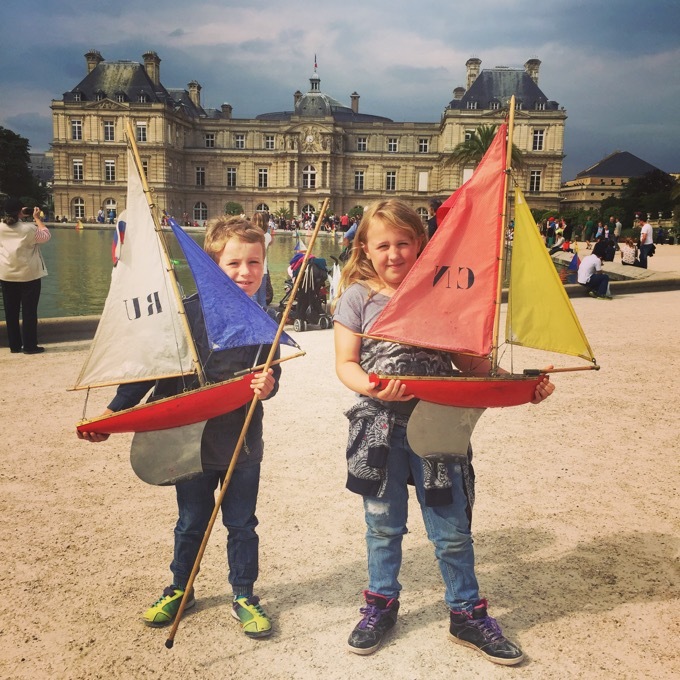 After an afternoon sailing boats in the Jardin de Luxembourg, they had lots to write home about. 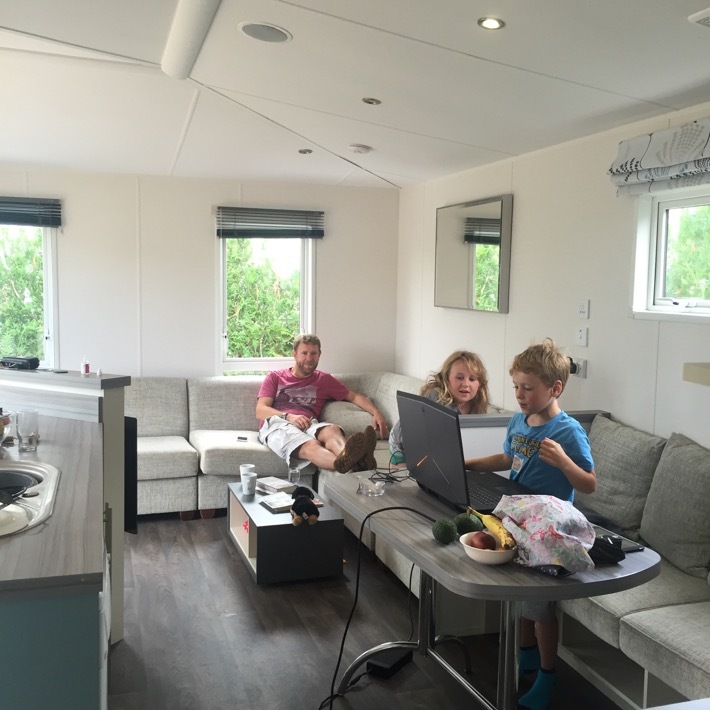 Having experienced one Canvas Holidays campsite, and all the fun of the alfresco lifestyle they have to offer, both families are really keen to try another. Have you tried a Canvas Holidays campsite? Do let us know your recommendations. And did you manage to tick off any of Canvas Holidays 50 things? Read Penny’s thoughts on Berny Riviere here and tour the Moda Plus she stayed in here. Read Helen’s posts on Duinrell here and here. Find out much more about Canvas Holidays who have sites all over Europe, bursting with stuff to keep families happy. Booking is really easy, the staff are so knowledgeable if you are uncertain what to book and can even book your ferry, or if you prefer, you can organise your own journey.